The facts about your stylist. 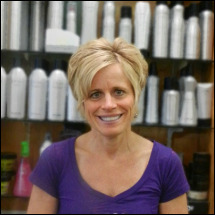 Enjoy a professional and friendly experience with any of our stylists! I always say "I've been blessed with faith, good health and a happy place to work!" I always say "I don't make you beautiful, I enhance the beauty you already have!" I always say "Everything happens for a reason!" I always say "I enjoy all aspects of beauty, even pedicures!"